Suki is a successful international business development executive with a background in marketing, brand strategy and finance. Her extensive international experience, in Europe, Asia, and the US, gives her unique ability to work across cultures and borders effectively, and she is experienced in all aspects of launching new ventures. She has worked in TV channel launch teams, working for the Walt Disney Company and News Corporation in Europe and Asia, as well as developing new ancillary businesses including branded credit cards, brand licensing in hospitality and consumer goods, and educational products. She has also spearheaded new online initiatives for these companies. Suki also served as Vice President of Marketing and Communications at Fortress Investment Group where she was responsible for new fund launch strategies, international investor conferences, and developing and managing all marketing collateral. 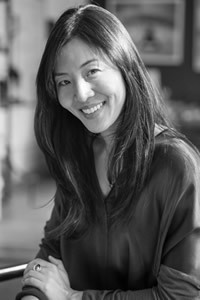 Suki has led and assisted the launch of successful business ventures of various scales throughout her career. She has a BA in History from Bryn Mawr College and MBA from INSEAD, France and is fluent in Korean.